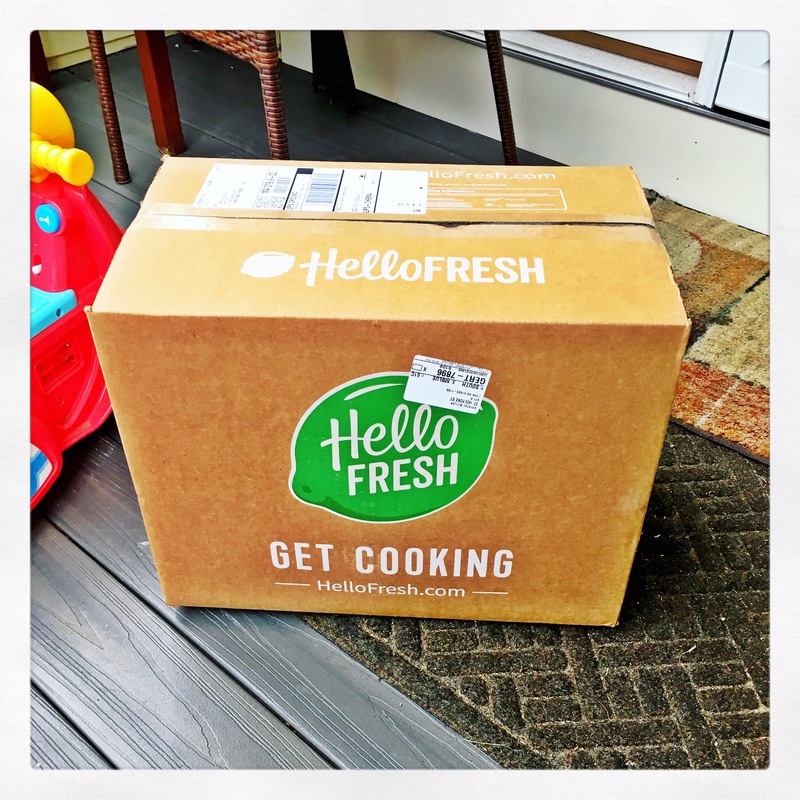 As promised here’s my Hello Fresh review! Yay!!! Lol I wanted to try out a meal delivery service because I’m always eating out due to lack of creativity in the kitchen and a bit of laziness. I can count the number of meals I can make on one hand. 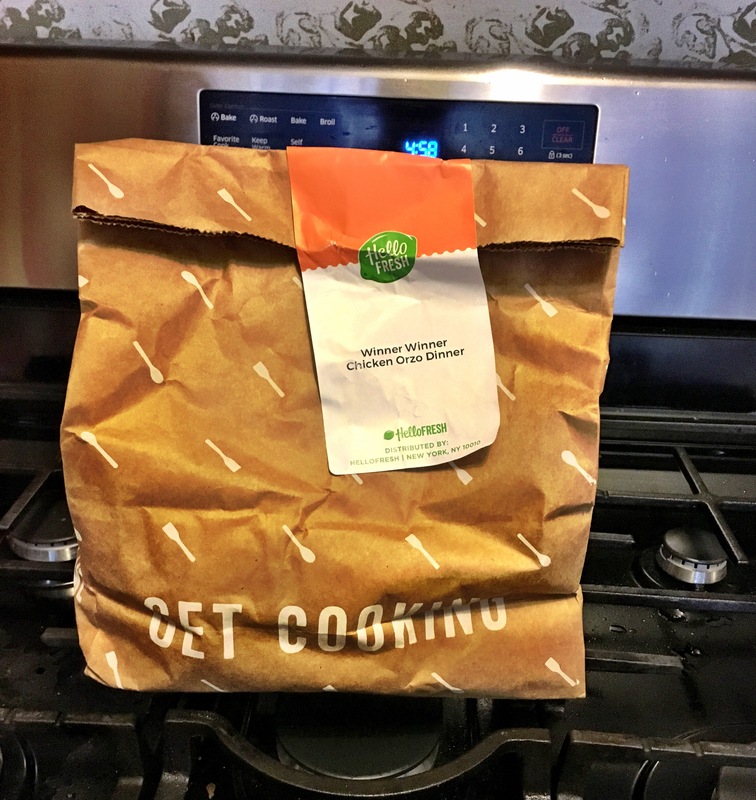 I had heard mixed reviews about Hello Fresh but decided to check it out for myself. I ordered the classic plan with 4 meals for 2 people which is usually $79.92 a week but I had a discount code so I got it for $49.92. It comes in a box with all the ingredients you need for each meal as well as recipe cards and nutrition information card. The ingredients for each meal come in separate bags with the name of the meal on the outside. Tonight I cooked the Winner Winner Chicken Orzo Dinner. 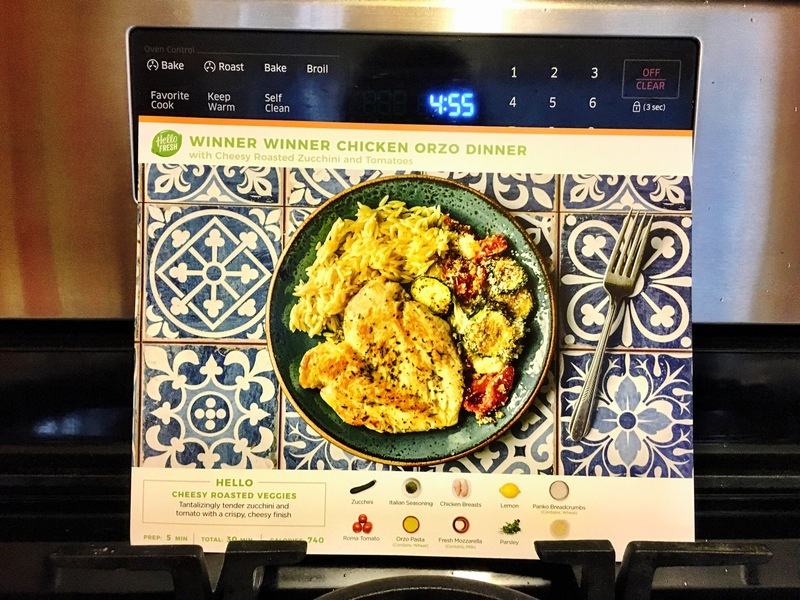 The recipe cards are super easy to follow and even gives you a timeline of how long prep and cook time take. As a mom of 2 the faster the better so I was happy to see each meal only takes 30 minutes. Since I was also tending to a toddler while cooking it took me a little bit longer about 45 minutes. Still not bad at all in my book. All of the ingredient items were individually wrapped and there were fresh vegetables as well as seasoning. Putting this meal together was a breeze and it was a meal I felt good about serving my family. I was able to feed 2 adults and a toddler with this meal. My oldest wasn’t home so that was one less person to feed and my toddler eats like a baby bird so she ate off of my plate per usual lol. If you have a larger family or children who have healthy appetites I would recommend getting the family plan. Since this was my first box I wanted to try it out first before going for that option. 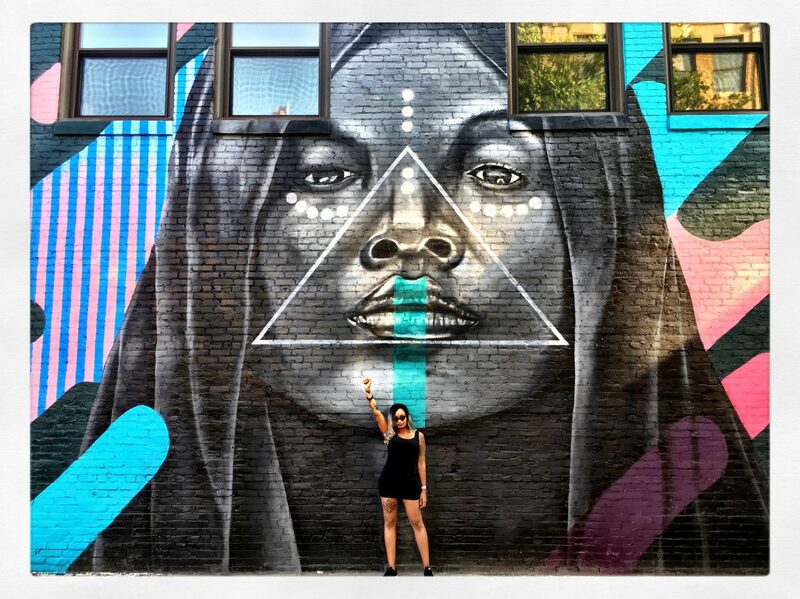 The results are in and…..everyone loves it! 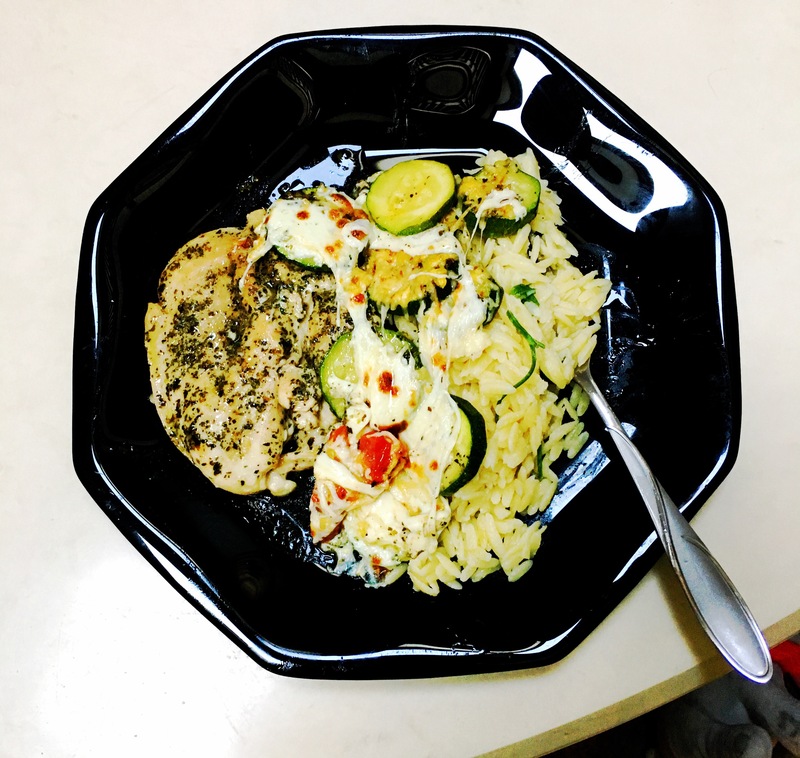 It was a quick, easy, and delicious meal! 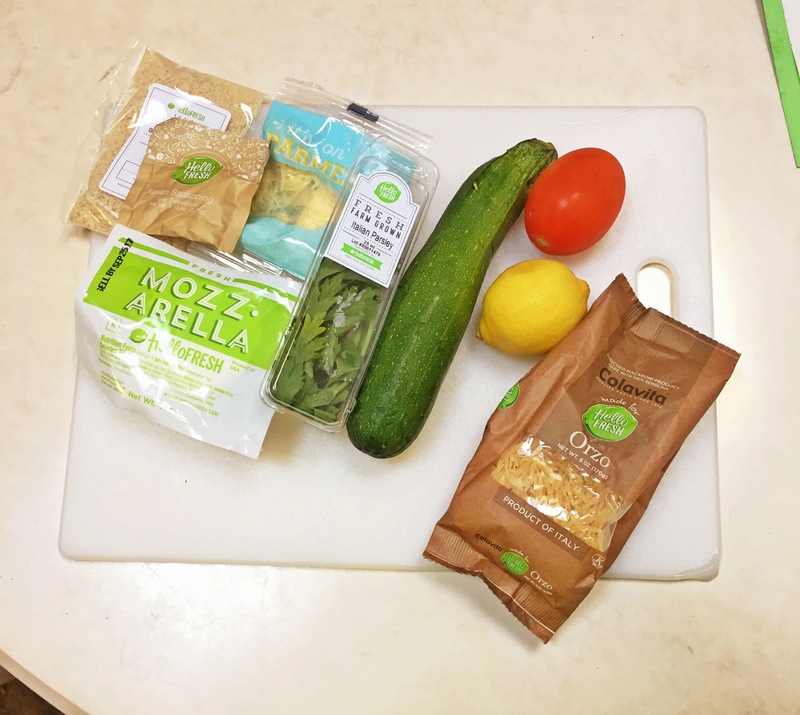 Another great thing about Hello Fresh is that if you want to you can skip a week. I recommend getting the app because it tells you what date you have until to skip a week before your charged. So have any of you tried a meal delivery service? What did or didn’t you like about it? Are there any others you want to try out? Leave a comment below let’s discuss!